Global warming refers to an ongoing increase in the global average annual temperature. 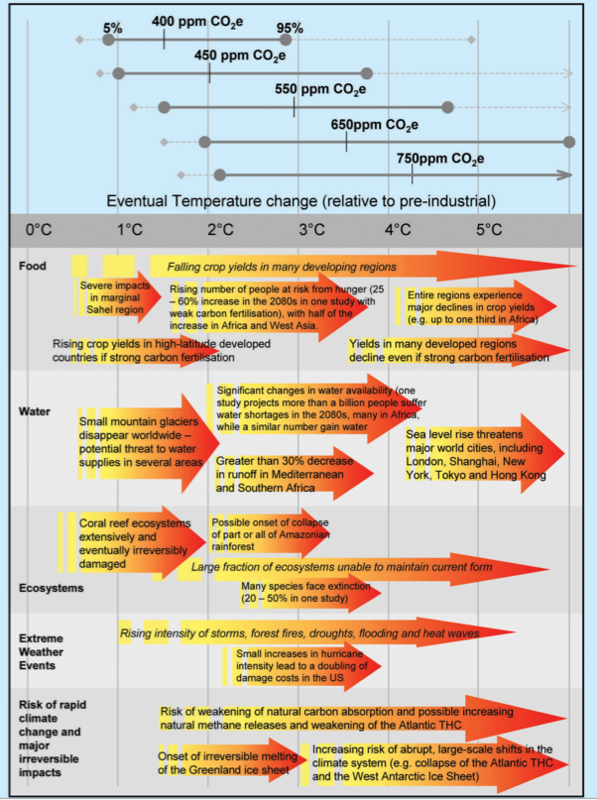 This page is an overview for global warming. Current-day global warming is sometimes called anthropogenic (due to human causes) global warming because it is caused by the increase in carbon emissions and other greenhouse gases from burning fossil fuels; deforestation; agriculture; and other human activity. In a process known as the “greenhouse effect”, greenhouse gases in the atmosphere—which are largely transparent to the higher-frequency radiation from the Sun—re-radiate back towards the Earth a portion of the lower-frequency infrared radiation emitted by the warm surface of the planet. This makes the Earth’s temperature much higher than it would be without greenhouse gases. The planet’s temperature is regulated by the concentration of greenhouse gases in the atmosphere, so an increase in greenhouse gas concentration will cause an increase in global average annual temperature. Therefore one of the major efforts to combat global warming is the effort to reduce net greenhouse gas emissions. Climatology scientists reached a consensus in the 1970s and 1980s that global warming represents a serious threat to humans and the ecosystems of the planet. Subsequent events have validated that consensus and confirmed this threat. In the later half of the 19th century scientists noticed that the Earth’s atmosphere kept it warm. In 1859, John Tyndall discovered that two major atmospheric gases H2O and CO2 could trap heat like the glass in a greenhouse. In 1896, Svante Arrhenius in Stockholm calculated that the burning of coal could increase the temperature of the Earth by 5-6°C if CO2 levels were doubled. At the rate of burning in 1896, this would have taken thousands of years. But rates quickly increased over the next few decades. By the end of the 1970s, a consensus formed that rising CO2 levels would cause global warming. So the debate shifted from whether or not global warming would occur to how much warming there might be, and to what the effects of that warming might be. 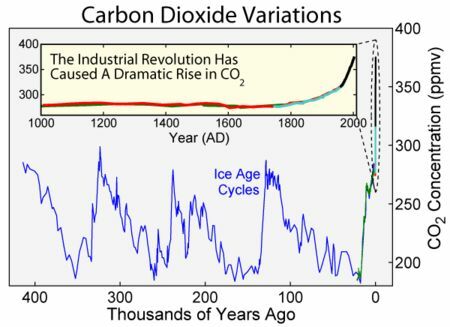 Note also that the recent CO2 levels greatly exceed the levels corresponding with the warming which caused the end of historical ice-age periods. With the ice-core data, rising global temperatures, and improved science modeling, by the late 1980s, there was a consensus among climate scientists that greenhouse gas-induced global warming was a real threat to the Earth for the 21st century. The consensus also held that human burning of carbon-based fossil fuels was the major contributor to this threat. How much the planet warms is largely a function of our response to the global warming threat and the ultimate CO2 levels we reach. 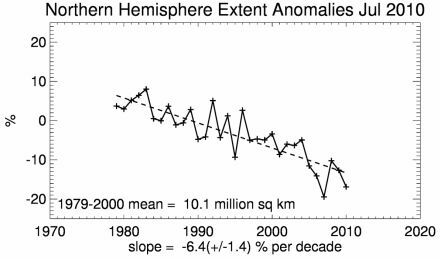 Extrapolations from current trends indicate warming on the upper end of the spectrum of possibilities. Are there there any specific target levels predicted by climate studies that we can cite? Plans of action - a list of detailed plans for dealing with global warming, and critiques of these plans. 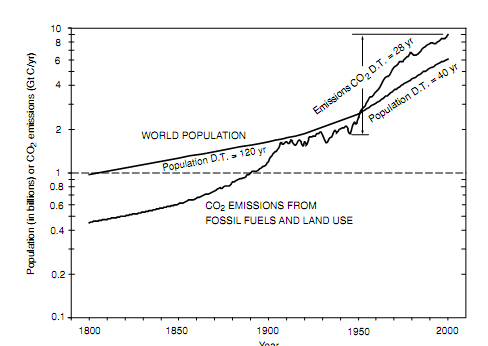 The figure shows the growth of world population in 200 years, from 1800 to 2000, and the growth of CO2 emissions from fossil fuel burning and land-use practices. In this period, the global population increased 6-fold, but the industrial and land emissions increased 20-fold. The logarithmic scale of the ﬁgure shows that the population growth rate became faster in 1900 and again in 1950, following the end of World War II. However, the CO2 emissions were growing faster than the population even in the 19th century and their growth accelerated further in the 20th. In 2007, Harris Interactive surveyed 489 randomly selected members of either the American Meteorological Society or the American Geophysical Union for the Statistical Assessment Service (STATS) at George Mason University. The survey found 97% agreed that global temperatures have increased during the past 100 years; 84% say they personally believe human-induced warming is occurring, and 74% agree that “currently available scientific evidence” substantiates its occurrence. Only 5% believe that that human activity does not contribute to greenhouse warming; and 84% believe global climate change poses a moderate to very great danger. In an October 2011 paper published in the International Journal of Public Opinion Research, Farnsworth and Lichter from George Mason University analyzed the results of a survey of 489 scientists working in academia, government, and industry. The scientists polled were members of the American Geophysical Union or the American Meteorological Society and listed in the 23rd edition of American Men and Women of Science, a biographical reference work on leading American scientists. Of those surveyed, 97% agreed that that global temperatures have risen over the past century. Moreover, 84% agreed that “human-induced greenhouse warming” is now occurring. Only 5% disagreed with the idea that human activity is a significant cause of global warming. Global warming in the news - notable acknowledgements of global warming by newsmakers. Possible effects of global warming. F. MacKenzie and A. Lerman, Carbon in the Geobiosphere, Springer, Berlin, 2006. David Archer and Ray Pierrehumbert, editors, The Warming Papers, Wiley-Blackwell, 2011. Spencer Weart, The Discovery of Global Warming. Kelly O’Day, Climate data for citizen scientists, Skeptical Science, 10 February 2011. Surveys of scientist’s views on climate change, Wikipedia. 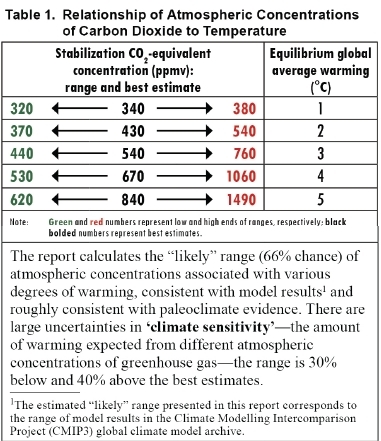 United Nations framework convention on climate change: GHG data and its own source is Climate Change 1995, The Science of Climate Change: Summary for Policymakers and Technical Summary of the Working Group I Report, page 22.